Best Tips for Canadian Snowbirds Buying a Car in the U.S.
After driving or having their vehicles transported back and forth for a few winters, many Canadian snowbirds who own property in the U.S. decide they would prefer the convenience of permanently leaving a vehicle at their winter residence. For snowbirds who decide to go this route, their choices are to import a Canadian vehicle to the U.S. - not a simple process - or to purchase a new or used vehicle in the U.S. to leave at their winter home. While there are pros and cons to both options, buying a car in the U.S. is often the simpler - and in some cases less costly - route to having your own vehicle at your winter home. 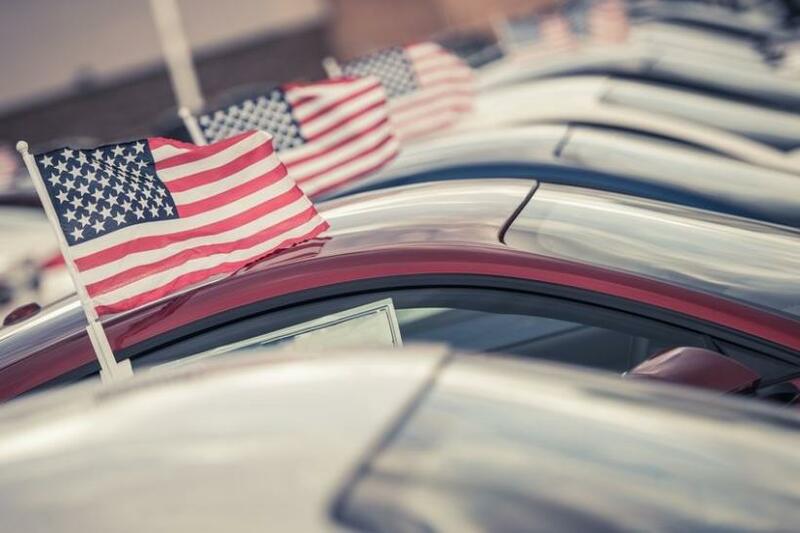 If you think buying a U.S. vehicle might be a good option for you, we’ve provided a few tips and things you’ll want to consider to help you through the process. Are vehicles cheaper in the U.S.? There is a widespread view that cars are cheaper in the U.S. vs. Canada. However, several snowbirds we spoke to who recently purchased new vehicles in the U.S. found that this was not necessarily the case – particularly when it came to some non-American brands. It’s can also be difficult to compare vehicles in Canada and the U.S., as similar vehicles may come with different standard features and have different options available in each country. In addition, some U.S. models don’t even exist in Canada. And while some vehicles might appear to be cheaper at first glance, the savings can disappear once you factor in the exchange rate. However, there are some models and makes of new cars that are cheaper in the U.S., even after you factor in the exchange rate. When it comes to used cars, you will often find that they are slightly cheaper in the U.S. than comparable used cars in Canada. Should you buy a new or used vehicle? Once again, you’ll find pros and cons to each option. The obvious benefit of buying a used vehicle is that it will be significantly less expensive than a new vehicle. Add to that the fact that you’ll only be using the vehicle for half of each year, at most, and a used vehicle starts to seem pretty attractive. However, there’s always an element of risk associated with buying a used car. Has it been in an accident? Is it a lemon? Has it been properly maintained? And of course, the warranty will have expired on most used cars, so you’ll be out of pocket for any repairs that may arise. Ultimately, choosing between a new and used vehicle will come down to a few factors like budget, your risks tolerance for potential issues with a used car and personal preference. If you decide to buy a car in the U.S. you’ll need to come up with cash to make your purchase, as financing a new or used car in the U.S. is nearly impossible for Canadians, (as is leasing a vehicle in the U.S.) because you don’t have a U.S. credit history. Most car dealers do not offer financing for foreign nationals although there might be the rare exception for a financing or leasing option - but these rare exceptions are certain to come at a higher rate, with the lender charging a hefty foreign national markup. Even if you own property in the U.S., you’ll likely find that you don’t qualify for lease or purchase financing from car dealers or U.S. banks. For one thing, you require a Social Security number. Canadian banks with U.S. operations will often provide Home Equity Lines of Credit (HELOCs) to Canadians who own U.S. property, using their Canadian credit histories to qualify them. They also won’t charge a big foreign national markup on your rate. Before you choose this option, make sure you are aware of the costs of getting a HELOC and the fact that there will likely be a minimum amount you can set up on your line of credit. Canadians who purchase a car in the U.S. will be subject to state vehicle registration laws in - which vary from state to state, so you’ll want to check the requirements in your state of residence. In addition, the rules keep changing, so it’s important to find out what the rules are at the time you purchase your new vehicle – don’t just rely on a friend’s experience of a few years ago, as the rules may have changed. Be sure to check whether you need a state driver’s license or if your Canadian license will suffice. At a minimum, you’ll likely need proof of car ownership, your Canadian license, proof of U.S. address (utility bills) and proof of insurance. If you’re buying from a dealer, they should be able to assist you with the necessary paperwork. However, if you’re buying the vehicle through a private sale, you’ll have to figure out the steps for yourself. Before you register your new vehicle, you must arrange for auto insurance coverage to be in place. Thankfully, this is usually relatively simple. Your U.S. auto insurer will want to see full details on the vehicle of course, as well as your driver records from Canada. You’ll also need to find a U.S. insurance broker (the broker who provides home insurance for your U.S. property is a good place to start). It’s a good idea to get two or three quotes from different brokers, however, to make sure you’re getting a good deal. And if you plan to suspend your coverage during the summer months when you’re not using your U.S. car, make sure you ask about this option at the time you purchase your insurance, as not all companies treat this the same way. There are some challenges inherent with leaving an un-driven vehicle for 6 months or more. Ideally, your car should be stored in a garage. If it is not in a garage, or even if it is, you should purchase a car cover for your vehicle to help protect against dust, dirt and salt in the air – if you are near the ocean. Some owners put their car up on blocks for the summer months to avoid damage to the tires. It’s a good idea to ask your dealer’s service people about steps you should take to protect your vehicle during the time it will not be driven. There is also the likelihood that the battery may go dead so remember to leave your vehicle parked in a way that it can easily be accessed by a tow truck or to boost the battery. And once again, ask about suspending your insurance coverage while you’re not there.